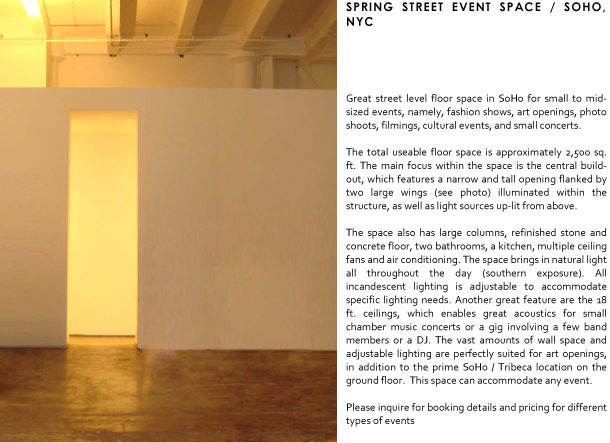 Great street level floor space in SoHo for small to mid-sized events, namely, fashion shows, art openings, photo shoots, filmings, cultural events,and small concerts. The total useable floor space is approximately 2,500 sq. ft. The main focus within the space is the central build-out,which features a narrow and tall opening flanked by two large wings (see photo) illuminated within the structure, as well as light sources up-lit from above. 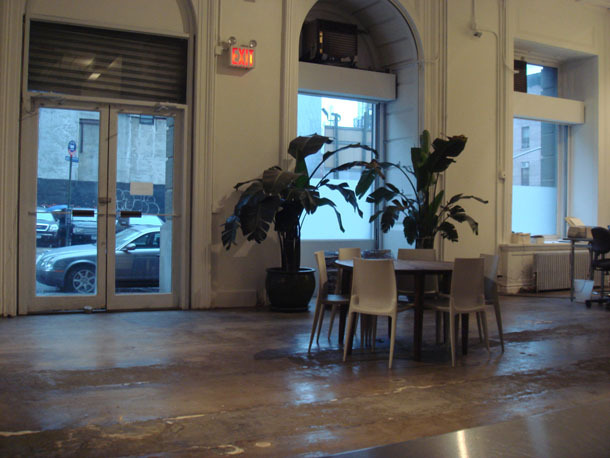 The space also has large columns, refinished stone and concrete floor, two bathrooms, a! 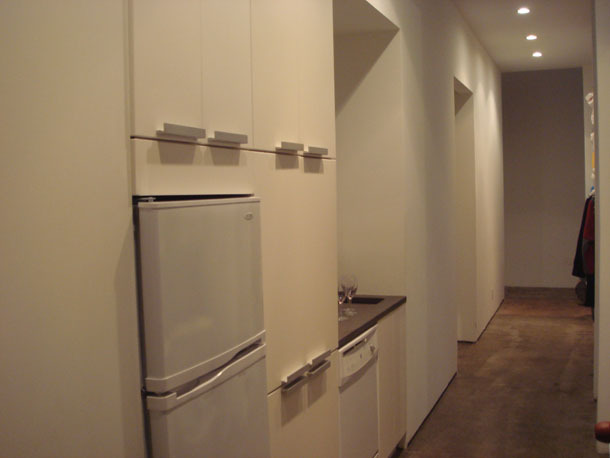 kitchen, multiple ceiling fans and air conditioning. 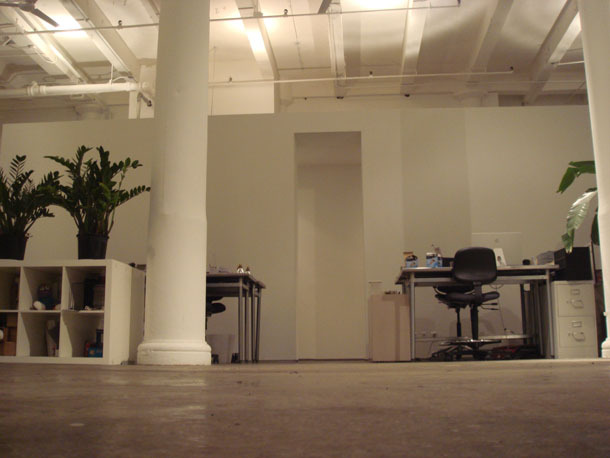 The space brings in natural light all throughout the day (southern exposure). All incandescent lighting is adjustable to accommodate specific lighting needs. Another great feature are the 18 ft. ceilings, which enables great acoustics for small chamber music concerts or a gig involving a few band members or a DJ. 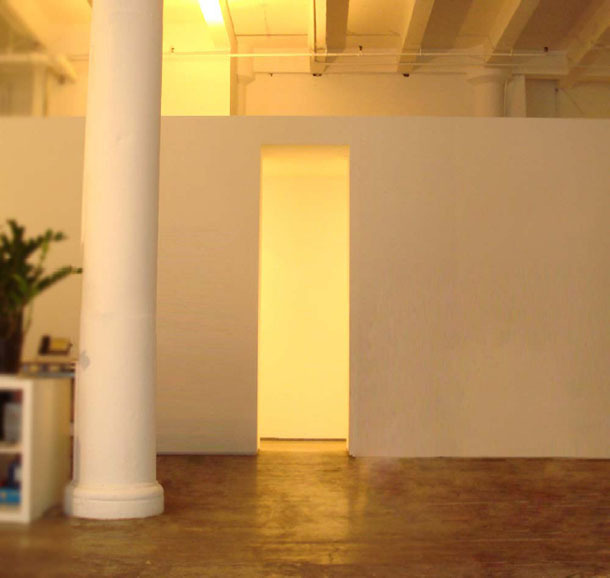 The vast amounts of wall space and adjustable lighting are perfectly suited for art openings, in addition to the prime SoHo / Tribeca location on the ground floor. 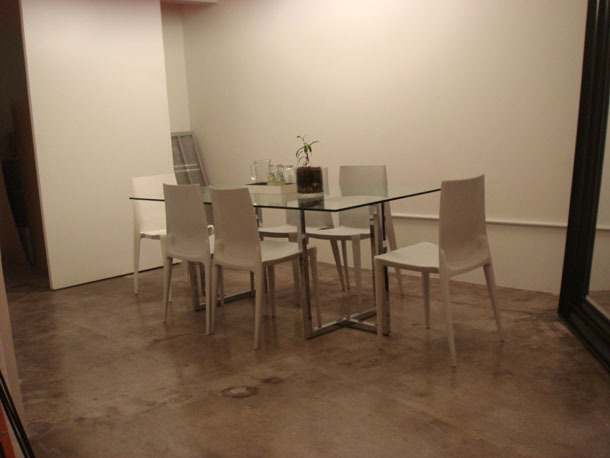 This space can accommodate any event. Close to some best restaurants in NYC.